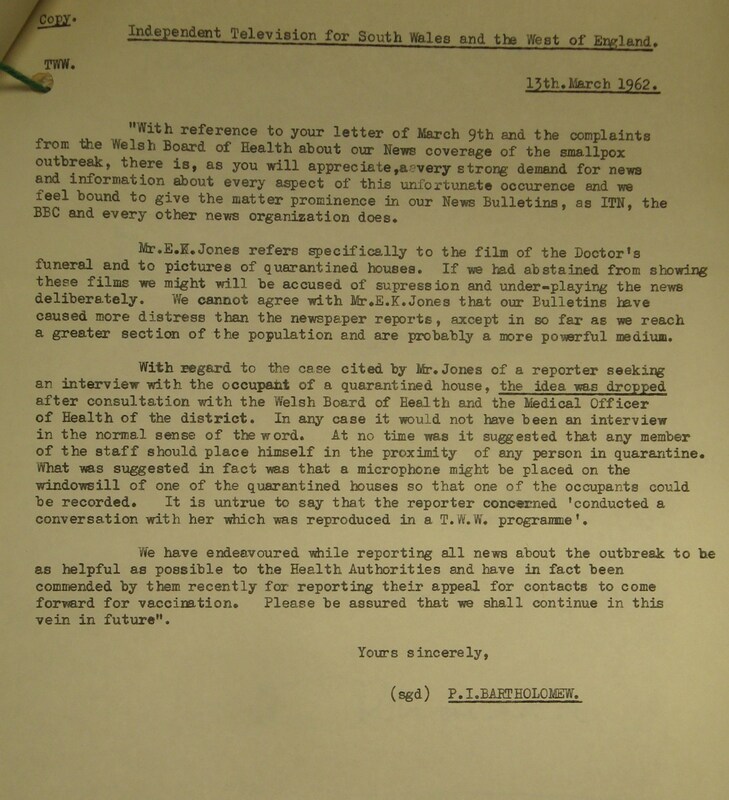 Following a report on TWW (then the ITV contractor in Wales) which showed blacked-out vehicles carrying the body of consultant Robert Hodkinson to the crematorium at Glyntaff, Pontypridd on 6 March 1962, the Welsh Board of Health accused the TV company of sensationalising the story and spreading alarm. 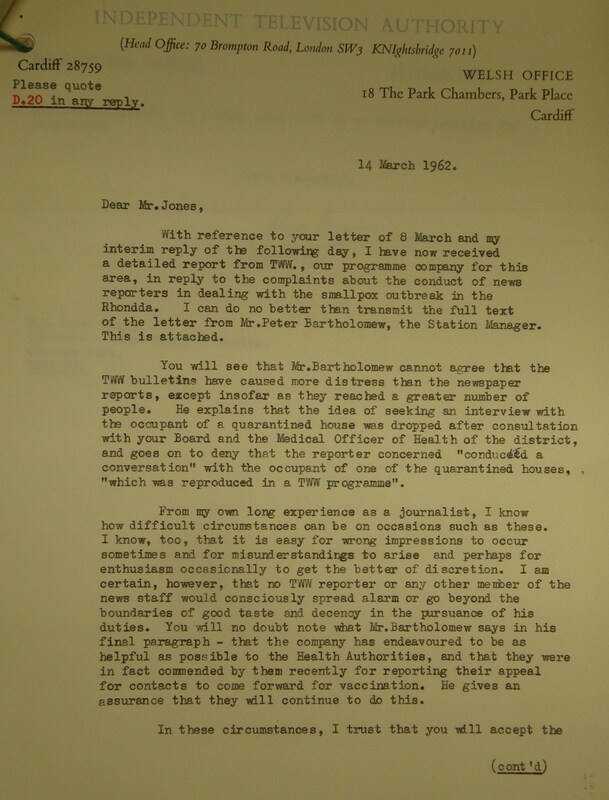 The sequence of letters in the original file (now in the National Archives) shows how the complaint was dealt with. 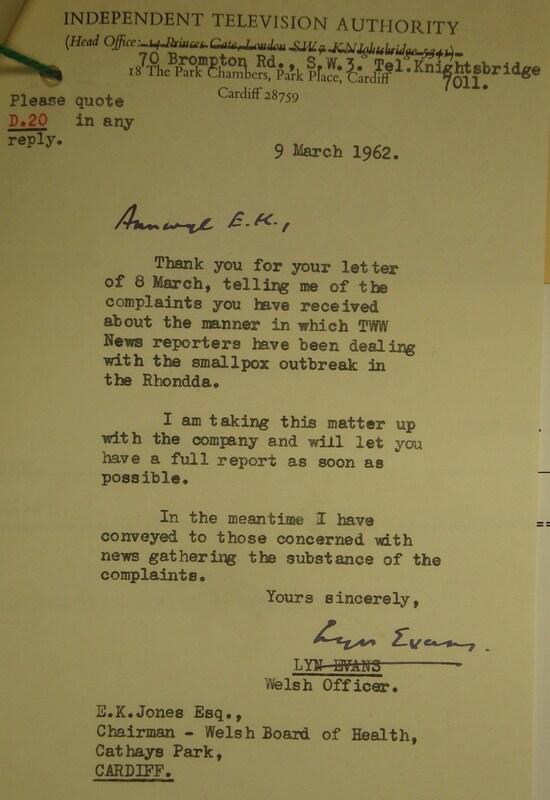 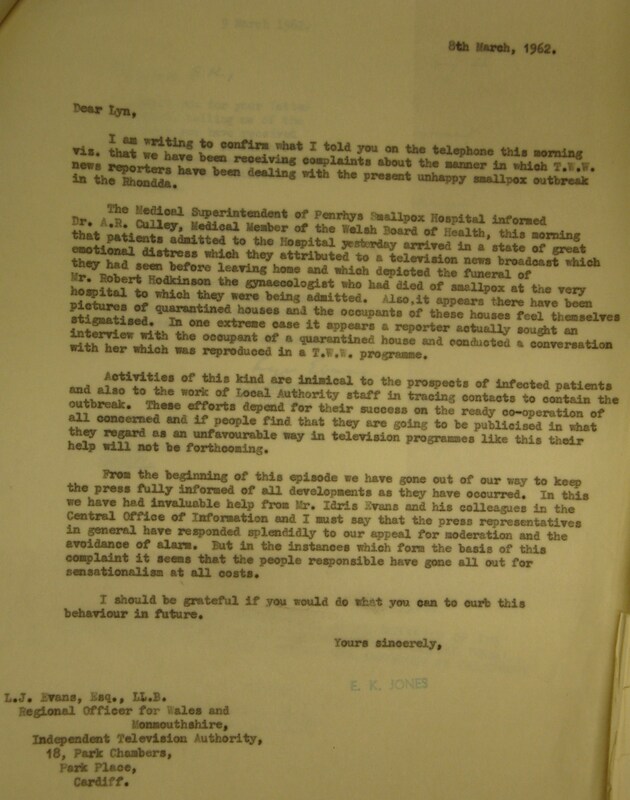 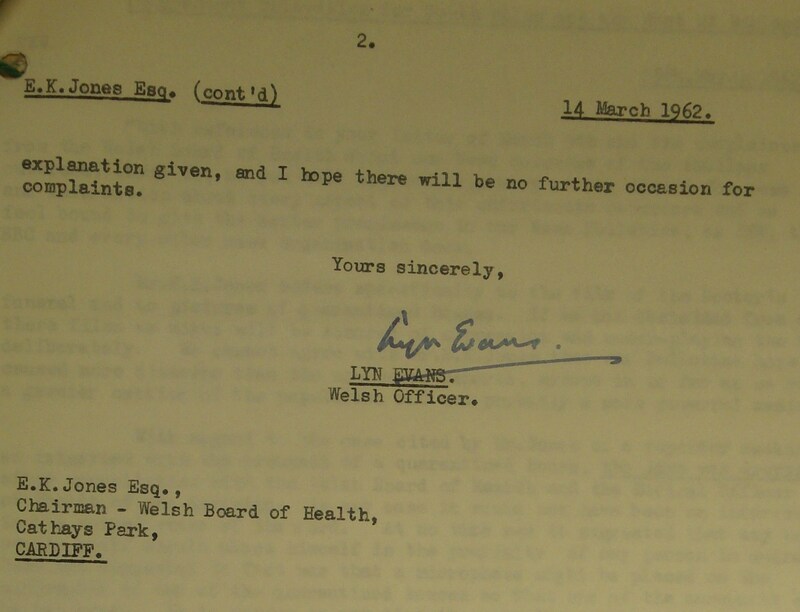 Independent Television Authority to Welsh Board of Health 14 March 1962 cont.